Turning 40 is often cast in a negative light. Yesterday I came across an article that was about how when you’re turning 40 years old, you basically fall apart. Your eyesight goes, your bones ache, your hair turns gray, you start forgetting things…you’ve heard it all too, I am sure. 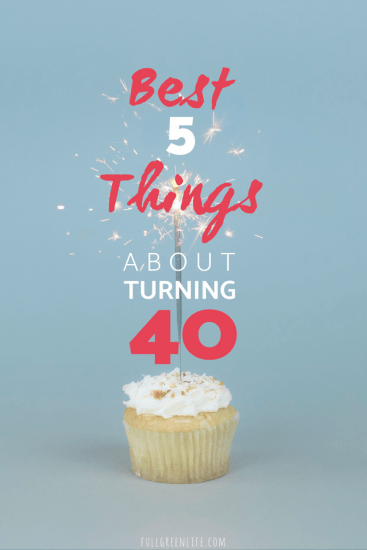 In this article I read, the silver lining was that all of those things are ok, though, because you have perspective at 40 and you won’t care as much. Ugh. Not exactly an uplifting read. I’ve been experiencing “40” for almost a year now, and it has not been at all what I feared based on the rumors. Instead, it has been enlightening, liberating, motivating, and inspiring. There has been a new sense of confidence and peace creeping into my life that is hard to describe. It’s something that I’ve seen in years past in friends of mine who are a bit older than me, a quality that I have noticed and even envied a little. It doesn’t happen overnight, but there is certainly a new, settled and contented feeling with yourself that was not there before. I think that because your fortieth is such a milestone birthday, it tends to trigger some reflection, which in turn can bring on some cool revelations. As I wrap up my year of being 40, I’d like to share my top 5 revelations. As someone who has always tended to be more of a “follower” than a “leader,” this is a really big deal. Of course, the sort of peer pressure of adolescence has long been gone and can stay in my teenage memories, thank goodness. But adults experience a similar kind of peer pressure and often don’t even realize its existence. I’m talking about when you see the moms at the morning school dropoff fully done up in hair and makeup and it gives you a twinge of feeling underdressed, or worse, you start avoiding the school unless you have made an equal effort on your appearance. Or, when your 10-year-old tells you he is the only one without an iphone, so you feel pressured to buy him one. We all know that doing things simply because you think you have to or because others expect it is not a good reason. Nonetheless, we all sometimes feel that pressure. Well, at 40 years old, you find that you’ve stopped caring as much what others think. If other people think you’re a strict mom or they judge you for not looking perfect all the time, it just doesn’t matter. At 40, you will have learned to “do you” and not worry about it. It’s liberating, I tell you. As I grew up and had friends whose grandparents passed away, or who lost an aunt or an uncle, I started to realize that I was very fortunate to have never experienced the death of a loved one. It wasn’t until I was an adult with a family of my own that I lost a beloved grandparent. With that loss, though, we found comfort in the fact that my grandmother had lived to a ripe old age and had had a very full and rich life. And then the same was true when my grandfather passed. By the time you are nearing 40, though, most of us will also have been touched by a different type of loss. Tragic loss. For me, this was losing my husband’s brother suddenly of a massive heart attack when he was only 44. And losing a friend and mother of three at only 43 years old. I’m sure you have experienced your own deep losses. I realize this is sounding like a big negative part of getting older, but there is actually a huge positive, too. After some time passes, what results for those of us touched by deep loss is a beautiful new outlook and awareness of life that is impossible to have without first experiencing that loss. In moments of living more intentionally and “on purpose,” my mind often goes to those I have lost. I sometimes even consider my actions, be it a gorgeous kayak paddle on a lake or a challenging run, as a way to honor their memory. You spend your time and money doing what you want and love. If you want something but are scared, you push yourself to do it anyway. You can let go of things that don’t make you happy. The things in your life that are truly important to you become clear to you. You may live just a bit more in the moment, which is a positive shift for most of us in today’s busy and uptight world. You have enough experience to realize that others don’t have it together nearly as much as it appears. By the time you’re turning 40, you’ve seen seemingly perfect marriages fall apart and even the best parents wind up with troubled kids. By now, you know that what you see on FB and IG is only the curated best moments of people’s lives. You realize you are doing a great job most of the time and you also realize that’s plenty good enough! So you stop comparing yourself to others and begin to be kinder to yourself. Negative self-talk is a powerful thing, but so is positive self-talk. And kind words to yourself just flow more easily at 40. It’s awesome. We are all uniquely complicated individuals. If you’re anything like me, it has taken years (40, to be exact) to really understand why I am the way I am. By now, I’ve had lots of time to consider how all of my experiences and all of the people in my life have made me the way I am. Having some self-awareness really helps you live a more satisfying life. You are simply more equipped to make decisions, big and small, that are in your own best interest. If you will be turning 40 soon, I hope I’ve given you a glimmer of hope that it isn’t all bad. 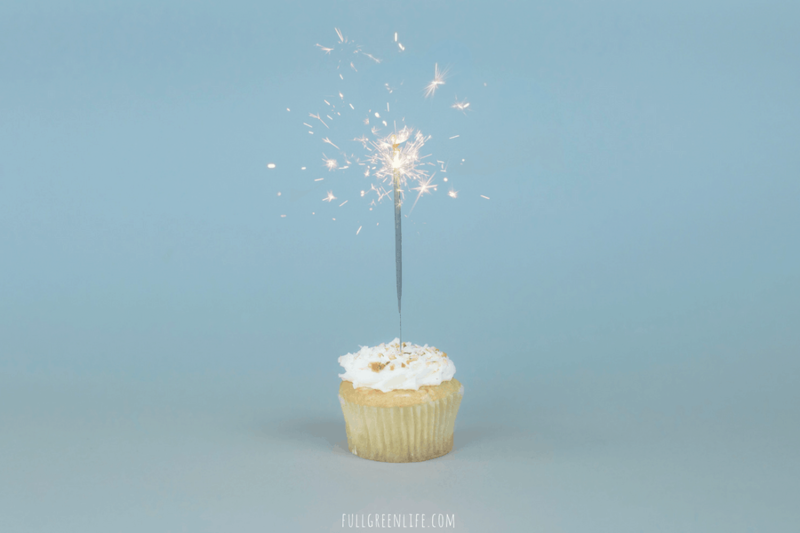 On your 40th birthday, do something just for you that you love with no fear holding you back. You’ve got this! ETA: On my 40th birthday, I went to a Jason Mraz concert, who coincidentally (or was it kismet?) was on a brief birthday tour celebrating his own 40th. I got to hear him sing about love and positivity and all good stuff. On my way to the concert, I got pooped on by a bird for the first time in my life. I laughed, and counted that as a good omen for my next 40!